A refreshing addition to London’s photography scene is new gallery project, Sion and Moore, which launches this month during Photo London. Founded by creative consultant and former agent Kim Sion, and curator, writer and director of specialist bookshop, Claire de Rouen, Lucy Kumara Moore, Sion and Moore will showcase three solo exhibitions by established British or British-based photographers in 2018, the first of which will take place at 4 Herald Street, a former umbrella factory in London’s East End. .Cent went behind the scenes in the run up to Kim and Lucy’s inaugural exhibition, Work Books 1984 – 2018, a presentation of work by the acclaimed photographer Nigel Shafran, with an exclusive interview. What brought you two together to decide on starting a gallery? Kim Sion: During one of our lunch catch-ups, we were sharing our future dreams and I said mine was to start a gallery, but my fear being embarking on a project like that alone. About six months later, Lucy called me and asked if I was still keen on pursuing that dream and if so would she be a desirable partner. The answer with no hesitation was a big YES. As both power women in the fashion and photography world, would you say this brings a new energy to the traditional gallery model? Kim Sion: In our opinion, yes. I say in our opinion because we think it is strange that there is such a big gap in the market in London for what we are setting out to do – celebrating the work of important photographers and encouraging people to start collecting it. Photography is the medium of the future, and its recent past is extremely important. There is such a taboo out there in the art world about photographers who have dipped their toes into the fashion industry – we want to blow that taboo out of the box and to change that way of thinking. How do you feel your individual experiences have shaped and formed Sion and Moore? Kim Sion: I think that our experiences have made us the people we are and when we are put together there is a wealth of opinions and the ingredients to make a perfect recipe. I think we complement each other in so many ways. 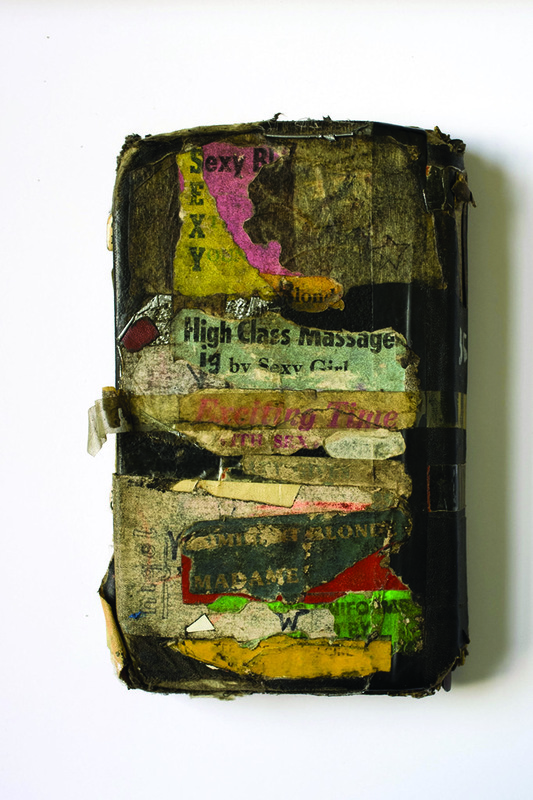 Nigel Shafran’s Work Books offers a fascinating journey alongside his celebrated photography, can you tell us more about what drew you to the work to be your first show? Kim Sion: To be honest that is a hard one to answer as he just seemed like a natural choice, in fact there were not even discussions about if he was the right choice or not. There are so many elements to Nigel that are so complementary to our vision and where we want to go with the project. Lucy Kumara Moore: Kim and I have both followed Nigel’s work for a long time and have a huge amount of respect for him. He started working right at that very important moment in the early 90s when art and fashion began to intermix and collaboration and cross-disciplinarity became standard modes of working and thinking for creative people in London. This cross-disciplinarity has become super sophisticated now and Kim and I are both very interested in it – and so Nigel felt perfect. It was his idea to show the Work Books and we felt it would be a huge honour as they are extremely precious objects that have hardly ever been exhibited. How do the Work Books fit in with his photographic practice and published books? Lucy Kumara Moore: Personally, I don’t feel there is a steep hierarchy between the Work Books, the published books and the prints. They are just different frameworks in which Nigel can make work. 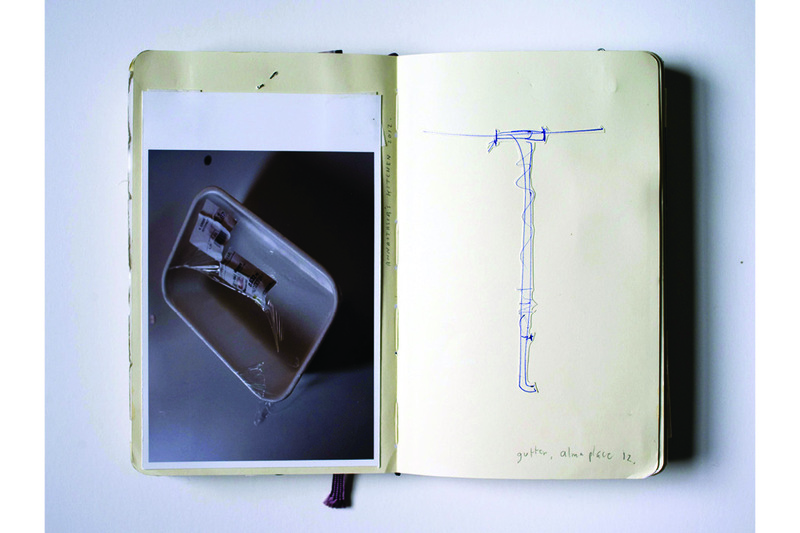 The work books act as containers that can immediately provide a context for Nigel’s thoughts/ drawings/ images – they gather together and synthesise. They are also more intimate and perhaps private than the prints. The layout and sequencing of the work books is important – and is mirrored in the books that Nigel publishes. How did the collaboration with Michael Marriott for the exhibition design come about? Lucy Kumara Moore: This was Nigel’s suggestion, as he has worked with Michael before. And we’re very excited about seeing the space at Herald Street transformed. In 2018, you will present two more shows, what exciting plans do you have in store? Kim Sion: Now that would be telling and then there would be nothing to look forward to. We are slow cooks, not fast food cooks. It’s all about slow and living in the now for us and taking the time to appreciate. You will just have to wait and see, like back in the olden days!